A compelling tale of the woman of the Orchiére line, I quickly became intrigued by the story. 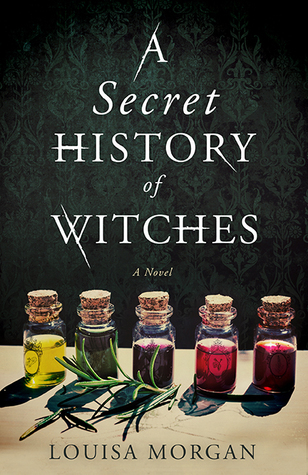 A Secret History of Witches has a different take on magic, it’s a pagan magic and not everyone has the ability and some have the gift stronger than others. I enjoyed the way the story started with Nanette and then told the story of each new generation of women going through history and telling us about the time period so that it was like reading an historical novel as well as a family saga. The story is told from the viewpoint of these women: Nanette, Ursule, Irene, Morwen, and Veronica. I did not like Irene, she is self-serving and didn’t seem to have any redeeming qualities. However where Irene was selfish and had no care for anyone else Veronica cared enough to be involved with helping people during the war. Each woman’s story did seem very similar and writing this review it’s hard to remember who is who because of this. I liked the different take on magic, however I felt that they were only really doing magic for personal gain and that each generation seemed to make the same mistakes, they never learnt. I would’ve thought that magic would’ve been a prominent part of this tale but it was more about the people and how they discovered they were witches and about the problems it brought them. I almost stopped reading this book when the fiction strayed a bit too far into history, sorry to give a spoiler here, but I did not like it when the author brought the Royal Family into the story and decided that the Queen Mother had been a witch. I like historical fiction and don’t mind when people from the past are made into Daemons etc (Shadow of Night by Deborah Harkness) but this is modern history and I couldn’t really accept it. I ‘woke up’ from the story and read on only because I was so close to the end and wanted to find out what happened next. Sometimes I felt that more could’ve been told, that it could’ve been a longer saga but then nothing of note really happens, like I said they never seem to learn and the magic is not as prominent as I’d have liked. Although I have been negative about this novel I did enjoy it. But felt something was missing, hence the critical comments. I would recommend this novel, I was engaged with the story and characters but after a short time of finishing the book I’m already struggling to recall some of the characters because of how similar their stories are. I had an email from the publisher telling me about the availability of this on Netgalley and I jumped at the chance to read it! I love Kate Riordan’s books, she is one of the authors I’ve discovered thanks to reviewing ARCs! I have reviewed her two previous released The Shadow Hour (Netgalley) and The Girl In The Photograph (loverreading review panel) and loved them. I can’t really explain how I felt on reading the first few pages of this book, I was so happy to be reading another breathtaking Kate Riordan novel. 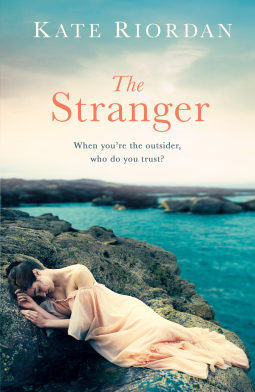 The Stranger is engaging from the start, it’s a tense and suspenseful story. The story begins the night Diana Devlin goes missing and then jumps to six weeks before, the mystery unfolding as the day of her disappearance dawns closer and closer. It’s told in the form of Diana’s diary and the third person viewpoints of other characters in the novel. It’s not just about the mystery of Diana’s disappearance: as the story unfolds we learn about the secrets of Penhallow where Diana is staying and the lives of the characters that live there. 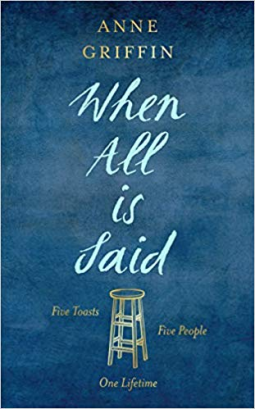 You can’t help but get drawn into their lives and want to know more about them, even when you get to the final page you wonder what happened next? I love the impact of the countdown to Diana’s disappearance and how the author gets into the characters heads and we learn so much about them. I love the setting and atmosphere: a Cornish village. I loved this book! I was given this book in e-book format from Netgalley in exchange for an honest review. It’s expected release date is: 19th April 2018. The best lives leave a mark. Mara’s island is one of stories and magic, but every story ends in the same way. She will finish her days on the cliff, turned to stone and gazing out at the horizon like all the islanders before her. Mara’s parents – a boxer and a ballerina – chose this enchanted place as a refuge from the turbulence of their previous lives; they wanted to bring up their children somewhere special and safe. But the island and the sea don’t care what people want, and when they claim a price from her family, Mara’s world unravels. It takes the arrival of Pearl, mysterious and irresistible, to light a spark in Mara again, and allow her to consider a different story for herself. The Gloaming is a gorgeous tale of love and grief, and the gap between fairy tales and real life. 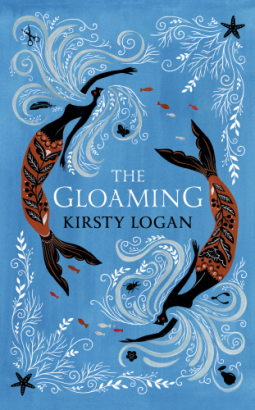 The Gloaming is the story of the Ross family: Sidhe, Peter, Islay, Mara and Bee. It’s also about the island where they live which often feels like a character and not just an amazing setting. It has the feeling of a mythical story with a hint of magic always there. The story is mesmerising and kept me riveted- eager to discover what happens next. The story begins when the girls are in their late teens and the events unfold as they get older. Sometimes we’re taken back into the past, back when Signe and Peter met and other times to the first time that they came to the island, these little snapshots of the past flow seamlessly into the story and allow us to know everything about the family. The Gloaming is one of those immersive stories, a world that you fall into, like a dream and just like a dream it leaves you wondering. I enjoyed everything about this novel, the characters and their story, the island, the magic and the way the story is told, flowing along with dips into the past. With one exception: the very end chapter entitled: ‘After’ for me this chapter or afterthought spoilt the ending. It presents us with a few ideas of what would happen next, after the story ended. I feel it is unnecessary because with any end we always wonder what happens next. I think the story ends perfectly without this chapter and it feels like an intrusion into the story. However I’d still recommend this book as I enjoyed every moment of it. I was lucky enough to have an ARC of this and then received as part of a Ninja trick or treat book swap– this was my treat! 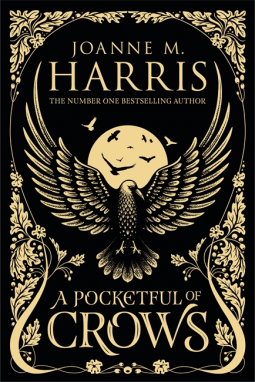 I didn’t read it straight away as I had quite a few books to read but I started it January 11th and it was my first book for Beat the Backlist, so finally I have read my first Backlist book and can move on to my second. Uncommon Type by Tom Hanks. Tom Hanks is a natural storyteller, each gem of a story is engaging with interesting characters that come to life off the page. Stories that dip into the heads of the characters and make you feel for them and follow them until the last sentence. I’ve never been to America but these stories capture the atmosphere of the US so much that I feel as though I have been. There’s such a variety of tales: modern, nostalgic stories set in the 50s, stories about: time travel, a trip into space, a struggling actress, a man named Assam travelling to America with such a story! Even news articles. Not one of these stories are boring and each one features a photo of a typewriter and mentions a different model. There’s even a story about a women with a typewriter. There is something so likeable and charming (just like the author) about these well told stories and I could read them over and over again. This book is like a homage to the typewriter, this is a picture of mine, which I received for Christmas not too long after receiving this book. It’s funny how things coincide. 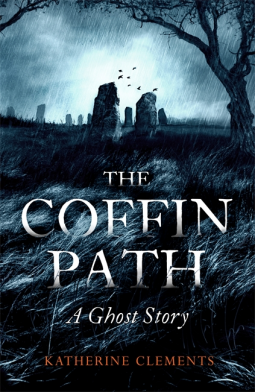 The Coffin Path by Katherine Clements is an eerie and compelling seventeenth-century ghost story set on the dark wilds of the Yorkshire moors. For fans of Michelle Paver, Helen Dunmore and Daphne du Maurier’s My Cousin Rachel, this gothic tale will weave its way into your imagination and chill you to the bone. Sometimes you get a good feeling when you start reading a book, like a gut instinct, that it’s going to be good. ‘The Coffin Path’ is set on the moors and this atmosphere is the perfect place for a gothic story. The first scene dives straight into action with Mercy helping a ewe who is struggling to give birth. It’s the beginning of a chilling story. When she’s going home after helping the ewe Mercy feels like she is being followed, later on there is a hint that there has always been a curse at Scarcross Hall. The beginning drew me in and I was hooked until the viewpoint change to a new character which also changed the tone of the story from the gothic but not for good. The mystery surrounding the new character soon kept me riveted allowing me to put my doubts aside and not stop reading until the surprising conclusion. I really enjoyed this book. It’s a gothic ghost story with mystery and drama. The atmosphere and setting is amazing and the characters are people you will care about. It’s one of those books where words fail me, how can I capture it in one sentence or paragraph? The one thing that stays with me besides the character of Mercy, is the imagery of the moors. Type of book: Ebook, free from Netgalley in exchange for an honest review. This story has me lost of words, so the review is short. I enjoyed it and it’s stayed with me. I think it’s one of those stories I’ll have to read again to discover more about it. This story is like a rhyme or a ballad, a folk tale and mythology. It’s a pagan story of magic, the seasons and nature and love. It’s starts telling us about this woman and her people, it’s rhythm like a rhyme or poem with it’s own beat, until it turns into a tale of a girl falling in love. But it’s not a love story, it feels like an old story, like a story of the seasons. A witch story. It’s an imaginative tale with vivid descriptions, it has a sense of a folk tale or a fearie tale. I don’t think I’ve ever read anything like this. You can’t really pin this story down with words, it has to be experienced for yourself, to understand the magickal quality that it has. This will be one of those stories that stays with me and that I’ll have to read again to take in.